Many ancient texts refer to ‘magical’ and ‘mythical’ lands, which is fascinating, particularly when you consider how much of the writings in ancient Buddhism, Vedic philosophy, or other Eastern traditions is being confirmed by modern day science. Quantum physics in particular has gained a lot of momentum recently. 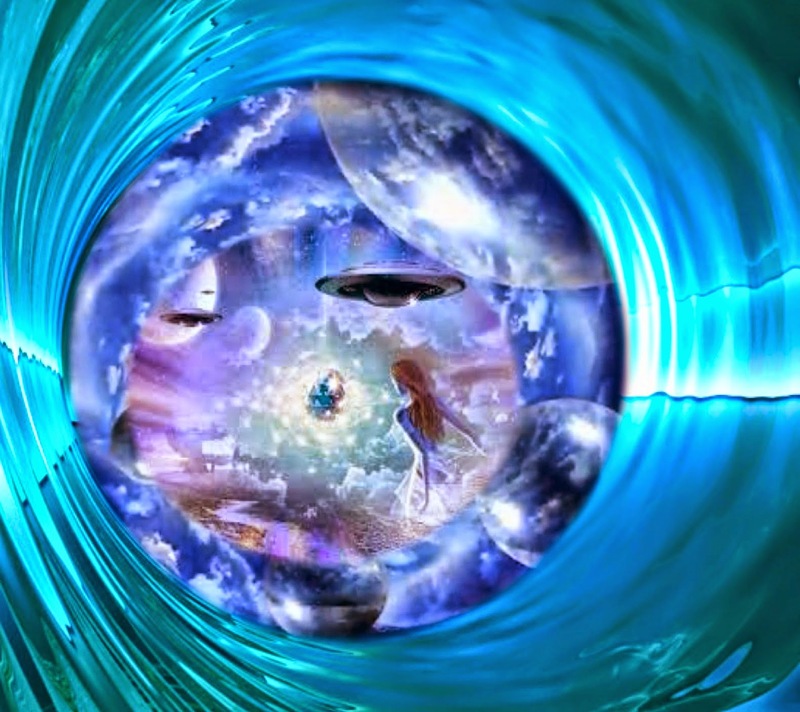 One great example is the conundrum of consciousness, which is directly correlated with quantum physics and goes hand in hand with other realms of existence. Perhaps this is why some of Nikola Tesla’s ideas were influenced by ancient Eastern philosophy. Not many people know this, but most of our pioneering scientists were also mystics, including Issac Newton, who studied alchemy, among other subjects. This is precisely why we shouldn’t be so quick to dismiss other possible knowledge that remains hidden within ancient texts, especially when evidence is increasingly proving the strength of the connection between ancient wisdom and modern day knowledge. We are surprisingly and inexplicably selective about which parts of ancient writings we hold to be true, and which we dismiss as fantasy. We might take, for example, a description of ancient Greek society written by a philosopher living at the time, such as Plato or Socrates, at face value, yet when confronted with the same philosopher’s description of an advanced ancient civilization, find some excuse to ignore it. We can take Plato’s description of things that are believable to the mind and accept them as fact, but as soon as we are confronted with something outside our known experience, our minds shut down, even in the face of mounting evidence lending credibility to many of these ‘mythical’ stories. To read more about Plato’s description of the Lost Kingdom of Atlantis, you can refer to this article. Several ancient texts from various traditions mention beings from ‘another world’ that exist within our own. One such world, referenced in Tibetan Buddhist and Hindu traditions, is Shambhala, which is a hidden kingdom within our own planet, a place which we do not understand and is difficult to find. 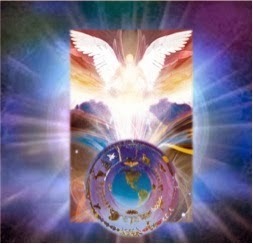 Although those with special affiliation may actually be able to go there through their karmic connection, nevertheless it is not a physical place that we can actually find. Shambhala, however, although no erudite Orientalist has yet succeeded in locating it geographically, is an actual land or district, the seat of the greatest brotherhood of spiritual adepts and their chiefs on earth today. From Shambhala at certain times in the history of the world, or more accurately of our own fifth root-race, come forth the messengers or envoys for spiritual and intellectual work among men. Edwin Bernbaum, Ph.D., a lecturer, author, mountaineer, and scholar of comparative religion and mythology, writes that Shambhala is round but depicted as an eight-petalled lotus blossom, which is a symbol of the heart Chakra (left). 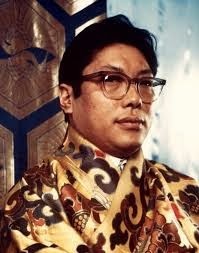 He also makes it clear in his book, The Way To Shambhala, that the way is not clear. Shambhala is a physical place existing within the human realm, but it’s also a spiritual, even supernatural place, which many also believe exists within another dimension. 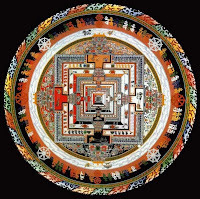 Michael Wood, a BBC journalist, based on his research describes it as a lost kingdom buried somewhere in the Himalayas, and writes about how the name Shambhala first appears in a text known as the Kalachakra tantra – or Wheel of Time teaching. 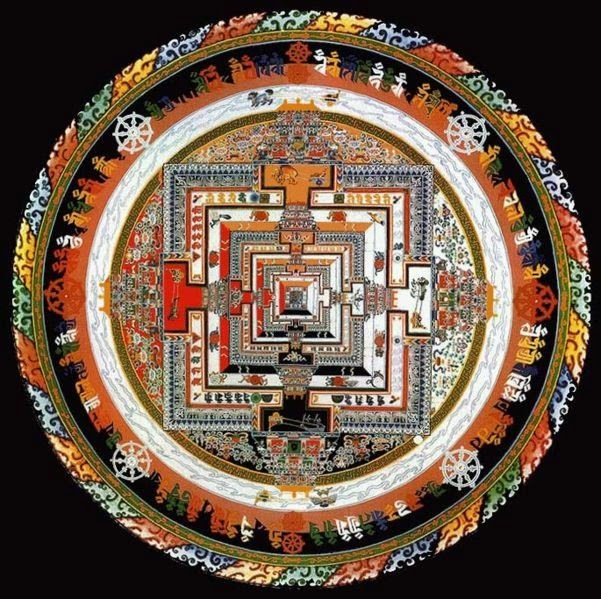 This Kalachakra doctrine belongs to the highest level of Buddhist Mahayana teaching. 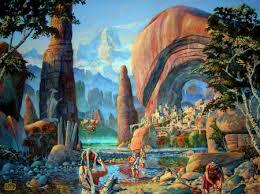 The land of Shambhala lies in a valley. It is only approachable through a ring of snow peaks like the petals of a lotus … At the centre is a nine-storey crystal mountain which stands over a sacred lake, and a palace adorned with lapis, coral, gems and pearls. Shambala is a kingdom where humanity’s wisdom is spared from the destructions and corruptions of time and history, ready to save the world in its hour of need. Who Is Down There? What Evidence Do We Have? Who really knows? 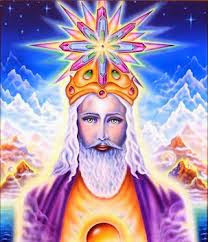 Legends speak of those who have wandered to the land and never returned, or have died making the journey, while more recently, connections have been made with the UFO/extraterrestrial phenomenon. You might not know this, but UFOs are commonly tracked on air and ground radar, while simultaneously watched by the pilots who are sent out to intercept them. Thousands of documents are available for public viewing, and hundreds of high ranking whistleblowers have shared their stories. Based on my personal research into UFOs and extraterrestrials, which spans more than 10 years, stories of flying saucers coming in and out of the ocean are quite common. 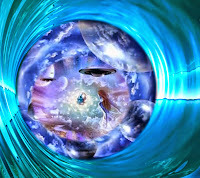 They are referred to as underwater submerged objects, and contactees, which today number in the millions, often speak of beings existing inside of our own planet — spiritual beings, ‘light beings’ of great intelligence. In addition to these rumours, there are people who claim to have actually experienced this place. Admiral Richard Byrd, a high ranking officer in the United States Navy who received a medal of honour and was the very first man to fly over the South Pole, supposedly journeyed to the hollow Earth. Admiral Byrd also flew directly over the North Pole, writing that he saw an opening in the top. His diary describes his adventure into the opening, where he saw lakes, rivers, green vegetation, and more. He participated in many expeditions to the North Pole, with one being a government-backed program called operation Highjump. Organized by Admiral Byrd, its primary goal was to establish an Antarctic research base. He claims to have been greeted by a flying machine and this is when he first interacted with the beings that existed in a place that is known to many as “Agartha.” The beings told him they were concerned with the development of nuclear weapons and the overall well-being of the planet. Shambhala is ever vigilant in the cause of mankind: he sees all the events of earth in his ‘magic mirror’ and the might of his thought penetrates into far-off lands. Uncountable are the inhabitants of Shamhala. 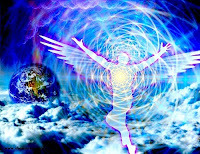 Numerous are the splendid new forces and achievements which are being prepared there for humanity. Based on my research, if there is an entrance, it’s in Antarctica or deep within several mountain ranges, including the Himalayas. And one common theme about Shambhala is that its secrets are well guarded, and cannot be reached unless one is called there. My knowledge on Shambhala is next to nothing, and it’s hard to find credible sources for ancient stories such as these. A great place to start seems to be the work of Edwin Bernbaum. He’s certainly done his research, as mentioned in the Journal of The International Association of Buddhist Studies. That publication gives a description of his work, his book, and a few other links that can get you started. He has conducted research and published on a number of topics, including listing and microfilming rare Tibetan texts in the Himalayas, Tibetan myths and legends of hidden valleys, and myth and art along the Silk Route of western China. What Do We Currently Know Of Earths Core? Our current understanding about the makeup of Earth’s core is a theory, based on assumption that is taught as fact. The evidence for the composition of the Earth’s core is decent, however indirect. We have no means for directly sampling the deep interior of the Earth, humans (apparently, if they have we have not been privy to that information) have not been able to access that part of our planet. No one has ever ‘seen’ the inside of our planet, or any other planet for that matter. That being said, we do have instrumentation that can help us ‘see’ the unseen, but the theory of Earth’s core remains just that, a theory. Again, perhaps the Hollow Earth idea is a dimensional thing, who really knows. Many great minds from the past up until the present day believe there to be something unconventional that lay beneath our feet. For example, Leonhard Euler, a Swiss mathematician and physicist. He produced a large portion of modern mathematical terminology and notation, more specifically the notion of mathematical function. He is considered to be one the greatest mathematicians of all time, and has approximately one thousand publications. He believed the Earth was hollow as well as inhabited.